What it dew Trillions! 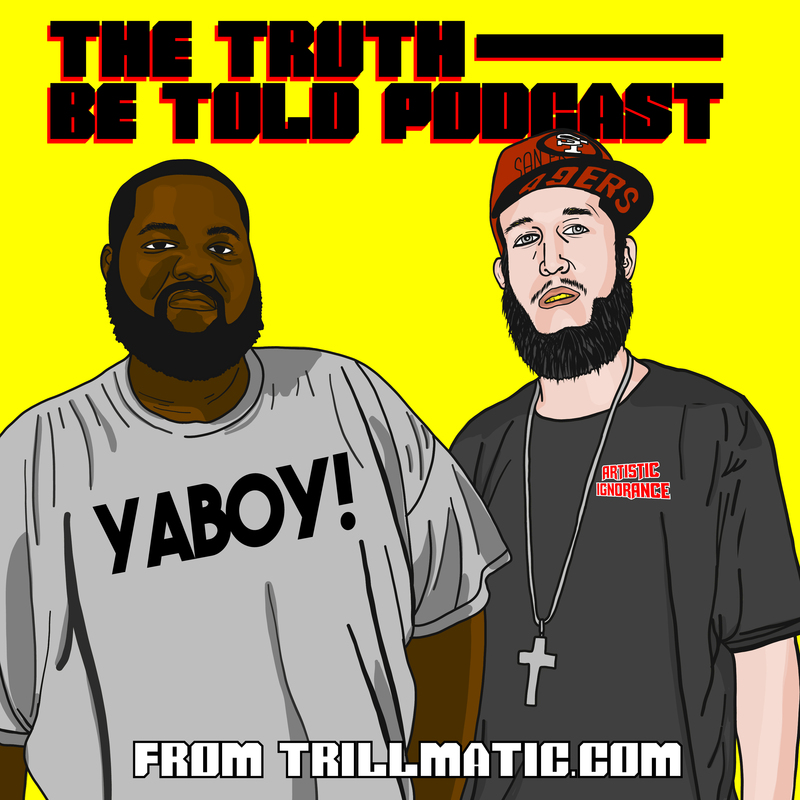 Back again with episode 130 of the Truth Be Told Podcast from Trillmatic.com hosted by Riffa & Bigg UU from Killeen. Thanks for supporting your favorite Hip Hop podcast! Be sure to leave a 5 star review! We kick this episode right off with the beef between the White rappers Eminem vs Machine Gun Kelly vs G Eazy. White on White crime is at an all time high in Hip Hop. (29:50) After going at Ludacris on Instagram, Tekashi 6ix9ine had to catch some bars from Ludacris on a new diss track. But did anyone even hear about the track? Is Tekashi 6ix9ine going to respond? (39:58) Mac Miller better than Eminem? We make the case. (48:30) We also spoke about Eminem running 2002 and if anyone else ran 2002. And the forgotten beef between Eminem and Nelly. (57:07) Colin Kaepernick and Nike launch a new campaign but we come up with a better campaign and a better slogan. (1:01:37) Geoffrey Owens, actor known as Elvin on The Cosby Show, was recently seen working a regular job while some folks on the internet tried to job shame him.